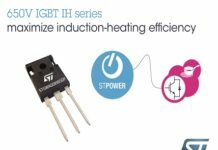 STMicroelectronics announced that its automotive NFC Reader IC (ST25R3914) and its automotive 8-bit microcontroller (STM8AF) have been chosen for the Qi-compliant automotive wireless charging reference design from Rohm. 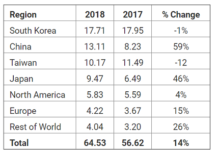 Contactless communication based on NFC is already in extensive use for functions such as mobile payment by smartphone and in recent years, NFC use has been rapidly widening from mobile devices to industrial equipment, IoT devices, and even automotive systems. 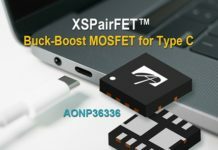 The automotive wireless charging module reference design from Rohm, for which they’ve selected ST’s NFC Reader IC and 8-bit MCU, is based on the BD57121MUF-M, a Qi-standard 15-W wireless charger IC being developed by Rohm that aims to increase the adoption of wireless charging in the center console of the vehicle. One benefit of ST’s technology contribution is to enable the sophisticated control that makes possible the detection of contactless smart cards in proximity to the charging system in order to halt the charging immediately. This important and appreciated function prevents the failure of those cards due to the strong magnetic field generated by the Qi transmitter. 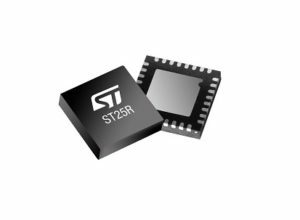 ST’s automotive NFC Reader IC, the ST25R3914, is an AEC-Q100 grade 1 qualified NFC analog front-end device supporting ISO14443A/B, ISO15693, FeliCa™, and active P2P. Its best-in-class RF performance and its unique Automatic Antenna Tuning function dynamically adapting to challenging metallic environments make it the perfect fit for automotive applications. It comes with a MISRA-C: 2012-compliant RF middleware which helps to shorten the time required for software development. 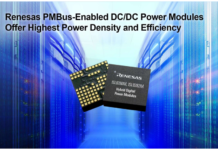 The automotive 8-bit MCU from ST, STM8AF, provides high performance, wide-ranging choice for memory size, and many package options, contributing to more flexible automotive systems. 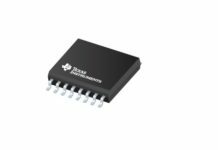 The MCU features true data EEPROM, CAN and LIN bus, and high operating temperature support up to 150°C. In combination with the NFC function, it can also be used as a controller to manage new types of automotive NFC applications, such as Bluetooth / Wi-Fi pairings for smartphones, “infotainment” using NFC verification, and engine start-up. ST and Rohm will demonstrate this Qi-standard automotive wireless charging reference design in their booths at the Automotive World 2019 (Tokyo, Jan 16 – 18, 2019).